For Hair Thinning and Hair Loss. 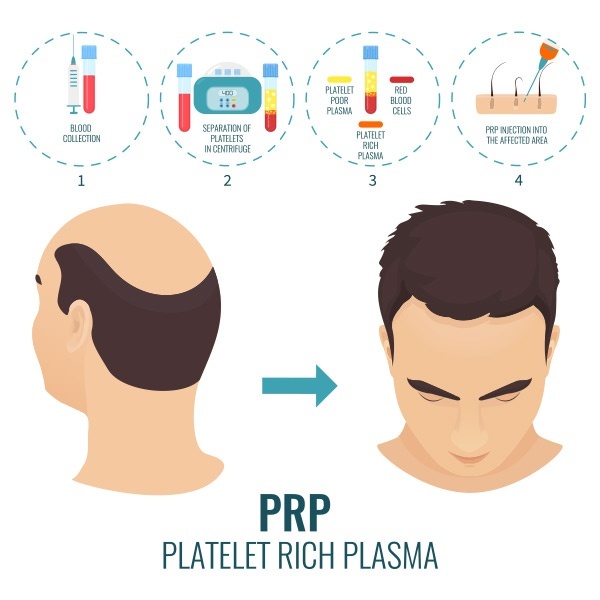 Hair loss and hair thinning patients in Houston, TX have an exciting new non-surgical clinical option for hair restoration called Platelet-Rich Plasma Therapy, or PRP. Using the growth factors in your own blood platelets, the PRP therapy treatment procedure triggers hair growth in areas where there is thinness or baldness. 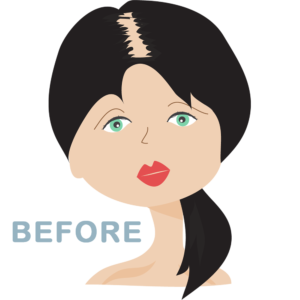 PRP Hair Loss Therapy is a non-surgical cosmetic procedure that involves injecting PRP (platelet-rich plasma) into the surrounding scalp area. Platelets contain numerous growth factors to help stimulate collagen and tissue regeneration, which helps with improved blood circulation and hair restoration. Anyone who has fine or thinning hair, androgenetic alopecia (male pattern baldness – hair loss at the top of the scalp, and a receding hairline particularly along the temples), and women with thinning hair or hair loss, can benefit from the PRP Hair Loss Therapy. Dr. Bradford Patt of Houston Center for Facial Plastic Surgery is happy to consult with you about PRP Hair Loss Therapy as a hair restoration option. Call us at (281) 649-7170 for an appointment. How Does Platelet-Rich Plasma (PRP) Therapy Work? The platelets in our blood primarily serve as clotting agents, slowing down and stopping bleeding when we’re injured. Platelets also house growth factors, which encourage regeneration of various tissues throughout the body. When applied with precision, those same natural growth factors can spur hair growth through PRP therapy. It’s also a great option for rejuvenating skin and reducing signs of aging and sun damage. Is your hair thinning? Visit with Dr. Patt to determine if the PRP Treatment is the solution for you. 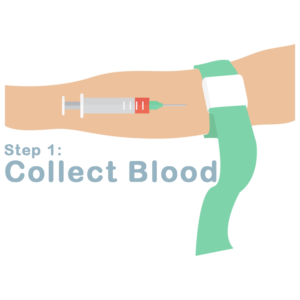 Your PRP Hair Loss Therapy experience begins with a simple blood draw, similar to when your family doctor checks your cholesterol, for example. 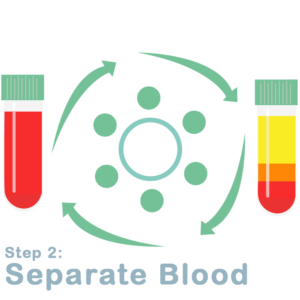 We then process the blood in a centrifuge that separates the platelets from other elements of blood. The purified platelet serum is light-gold-colored. Once they’ve been sufficiently isolated, they’re ready for injection. 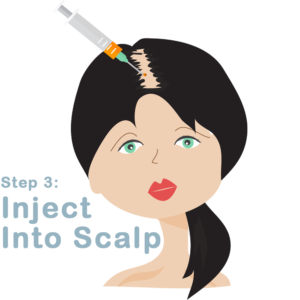 Dr. Bradford Patt injects them directly into precise sites in your scalp, which feels like a light pinch. After a PRP therapy session, there’s no need for any downtime at home. The treated area may be a little tender, but you can comfortably return to your regular daily activities as soon as your appointment is over. Dr. Patt is available for free consultations, feel free to book your consult now! What Is The Treatment Schedule and Expected Results? PRP treatment therapy consists of an initial 3 treatments spaced 4 weeks apart. Each visit lasts about 30 minutes. To maintain hair growth, maintenance treatments should be scheduled every 6 months. We pair your treatment with an at home aftercare package that helps target and spur growth from multiple pathways. By combining PRP treatments with the supplements, scalp treatments and a laser hair growth device, your results will be significantly better over the long run. To help maintain your healthy hair results, you’ll also be required to come in for maintenance PRP treatments once a year. Ready to stop losing hair? Visit with Dr. Patt and take the first step towards hair restoration. Patients with history of heavy smoking, drug, and alcohol use; as well as patients with medical diagnoses like platelet dysfunction syndrome, thrombocytopenia, hypofibrinogenemia, hemodynamic instability, sepsis, or acute and chronic Infections like chronic liver disease, chronic skin diseases or cancers should not have PRP. Moreover, for patients who have had anti-coagulation therapy, or are experiencing metabolic and systemic disorders, PRP is not recommended. Not sure if PRP is the right solution for you? Book a consultation with Dr. Patt today! Call (281) 649-7170. For many years, PRP has already been proven successful as used in other medical and surgical disciplines. Your decision to use PRP is personal, and should only be considered after careful research and consultation with Dr. Patt. 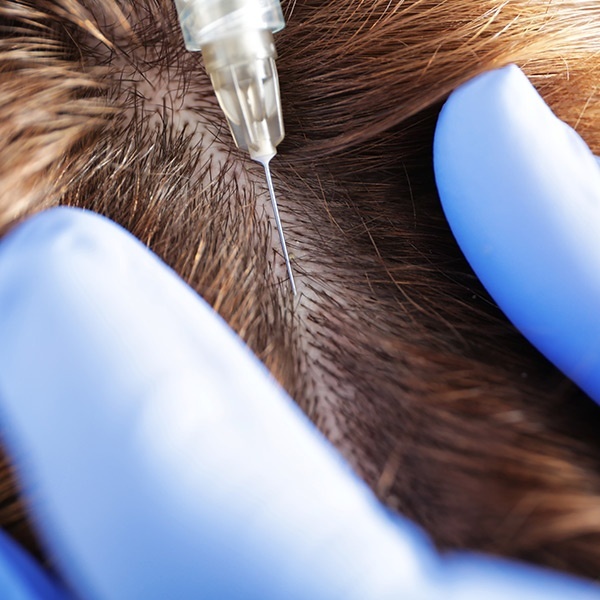 Platelet Rich Plasma Hair Loss Therapy is both natural and safe, as it distillates good cells from your scalp and injects them directly back into the areas where they’re needed. There is absolutely no chance of getting a blood infection from another human being. PRP involves using your own cells that are not modified or changed, and the beauty of it is that your platelets won’t be rejected by your immune system.